RANGERS missed out on the chance to win through to the fourth round of the Carabao Cup for the first time in a decade – instead falling to a desperately-disappointing 2-0 defeat at Blackpool. Though much-changed, the R’s – who had Jordan Cousins dismissed for a second booking in the 70th minute – were second best throughout against their League One hosts, who kept up their impressive start to the season with this victory. 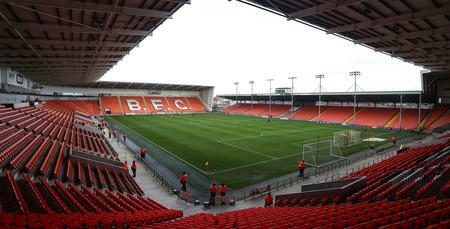 Armand Gnanduillet’s 28th-minute effort handed the home side the lead at Bloomfield Road, with Jay Spearing eventually adding Blackpool’s second goal in the final minute of normal time. R’s boss Steve McClaren made nine changes in all to the team defeated narrowly at home by Norwich in the Sky Bet Championship on Saturday. Only former Blackpool defender Alex Baptiste, who captained QPR on the night, and Josh Scowen kept their places in Rangers’ starting XI. Fellow ex-Tangerines men Grant Hall and Bright Osayi-Samuel were also among the visiting starters. QPR lined up in a 4-4-1-1 formation: Matt Ingram; Osman Kakay, Grant Hall, Baptiste, Niko Hamalainen; Pawel Wszolek, Cousins, Scowen, Osayi-Samuel; Ilias Chair; Matt Smith. The first half wasn’t exactly a thriller, nor were there a host of clear-cut opportunities, but Blackpool offered much more of an attacking threat before half-time. Rangers’ Chair warmed the hands of Mark Howard with a low second-minute effort. But the home goalkeeper had nothing more to do for the remainder of the opening period. In the fourth minute, Blackpool’s Curtis Tilt poked a close-range effort straight at Ingram while, three minutes later, Jordan Thompson’s thumping left-footed attempt from 20 yards fizzed just wide of the left-hand post. Blackpool continued to ask questions of their visitors. Indeed, in the 19th minute, home skipper Spearing’s free-kick effort from just outside the box forced a fine sprawling save from Ingram, before the R’s ‘keeper reacted to collect Ben Heneghan’s header at the second attempt. Rangers also picked up a host of bookings before half-time, with McClaren taking no chances in the case of Scowen – removing the midfielder in only the 25th minute. Already on a yellow card, he committed another late foul that led to a lengthy talking-to from referee Tim Robinson. And almost immediately, Sean Goss was brought on in Scowen’s place, for the former's first senior Hoops appearance in almost 18 months. 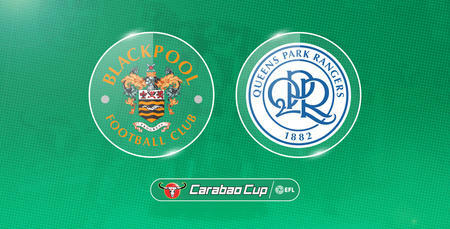 Blackpool weren’t exactly making things comfortable for QPR. And things got even-more difficult for the R’s when they fell behind in the 28th minute. Gnanduillet got the goal – eventually prodding home from six yards following a home corner. That proved to be the last real moment of note in the opening period and, on the evidence of the first 45 minutes at least, Rangers had it all to do to progress. The R’s undoubtedly needed to show vast improvement in the closing half, and it was perhaps no surprise to see McClaren opt for a second change ahead of the re-start. Paul Smyth replaced Chair. Blackpool had the first chance of the second period. In the 49th minute, Ryan McLaughlin got on the end of Joe Dodoo’s ball across the six-yard box before firing over. Meanwhile, Rangers’ opening shot after the half-time interval arrived in the 53rd minute. Kakay’s low distance attempt was easily dealt with by Howard. The visitors were seeing more of the ball than they did before the break. However, in truth, this had turned into a real scrap once the hour mark arrived. In the 65th minute, Blackpool’s Dodoo picked up possession down the left before bearing down on goal to shoot low at Ingram. Then Rangers’ task was made all the harder when they were reduced to 10 men in the 70th minute. Cousins was shown a second yellow card and subsequent red, following an off-the-ball altercation. Disaster for the R’s who, already a goal down, were up against it anyway. McClaren reacted by using his last sub 13 minutes from time, as Osayi-Samuel made way for Aramide Oteh. Despite a difficult evening thus far, could Rangers level matters late on to force a penalty shootout? This tie was put to bed in the 90th minute, with Ingram unable to keep out Spearing’s well-taken effort from the edge of the penalty area. 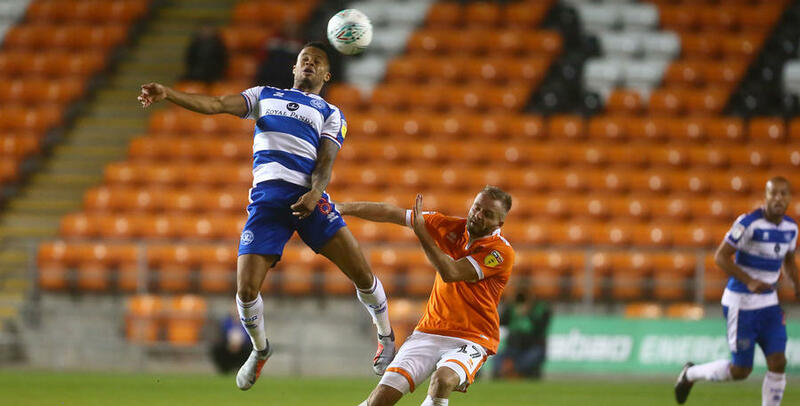 WATCH the main moments from QPR's 2-0 Carabao Cup exit against Blackpool.